An eye-catching watercolour print adorns this versatile silk blouse, which will bring a welcome hint of colour to your wardrobe. 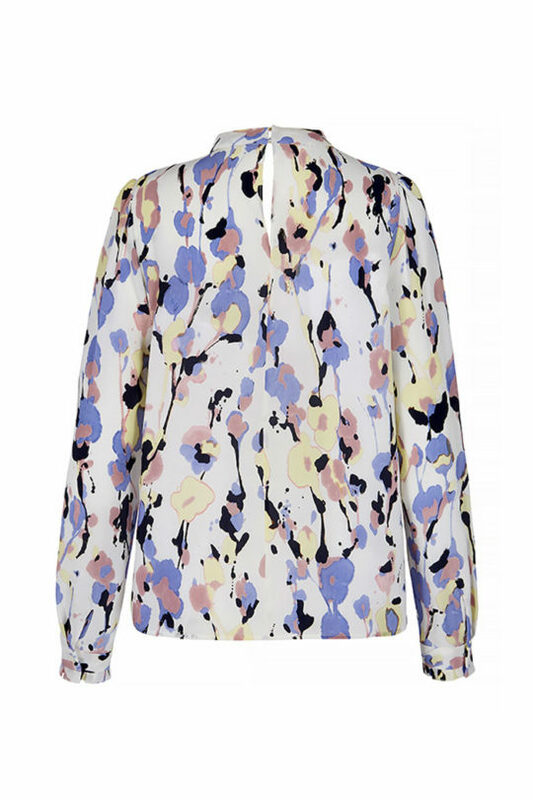 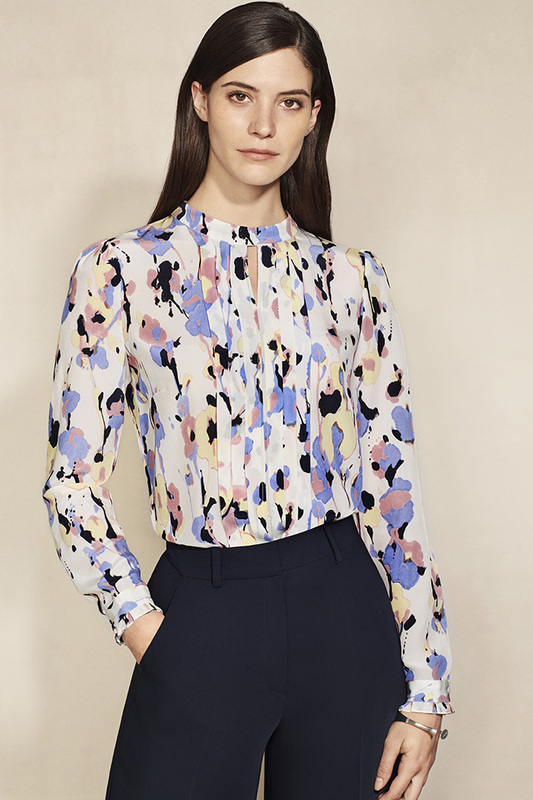 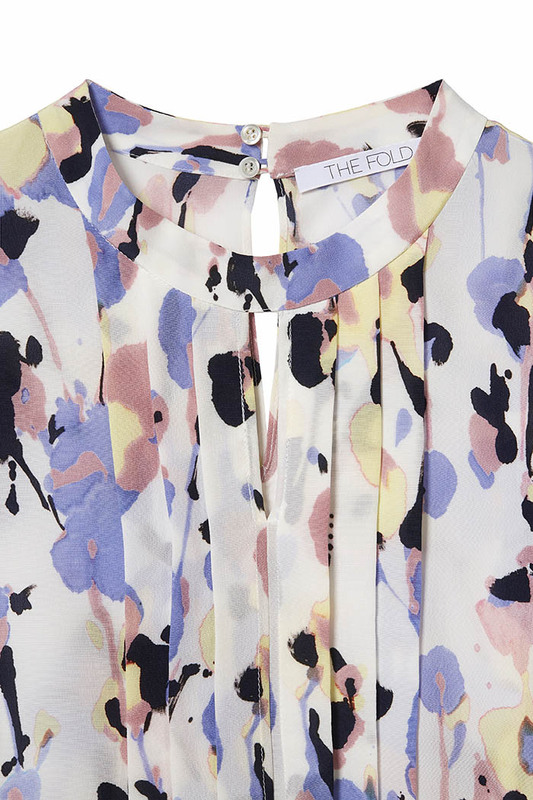 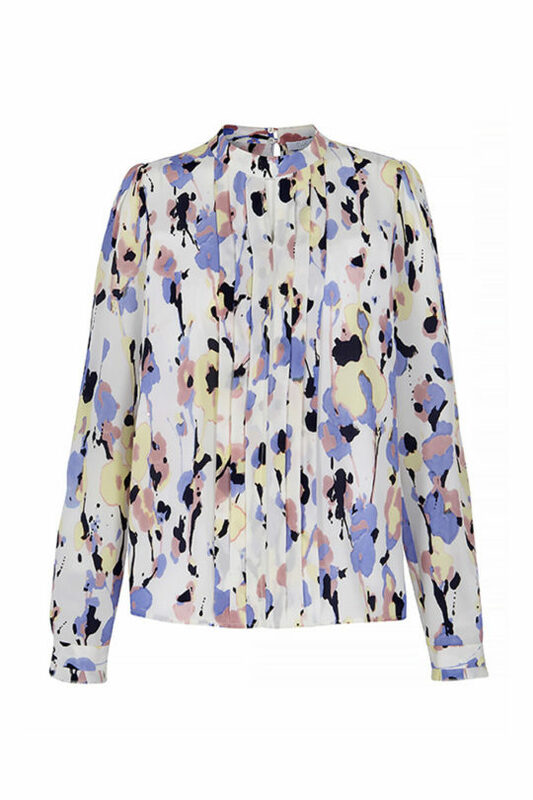 The Eastleigh blouse is cut from luxurious ivory silk crepe de chine with an abstract print, hand-painted in Italy in refreshing shades of blush pink, navy, primrose and cornflower blue. 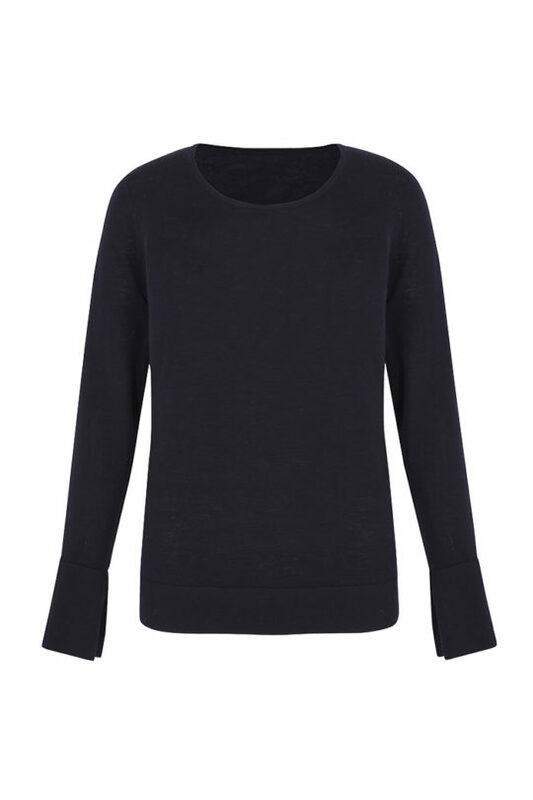 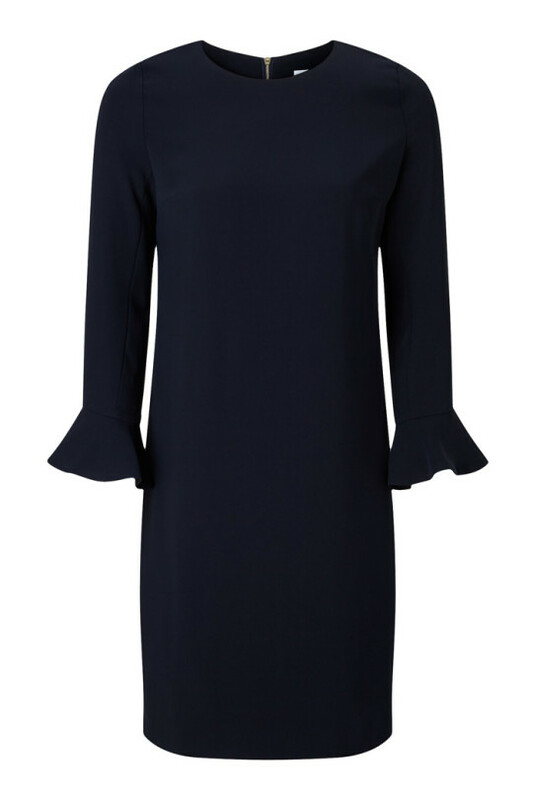 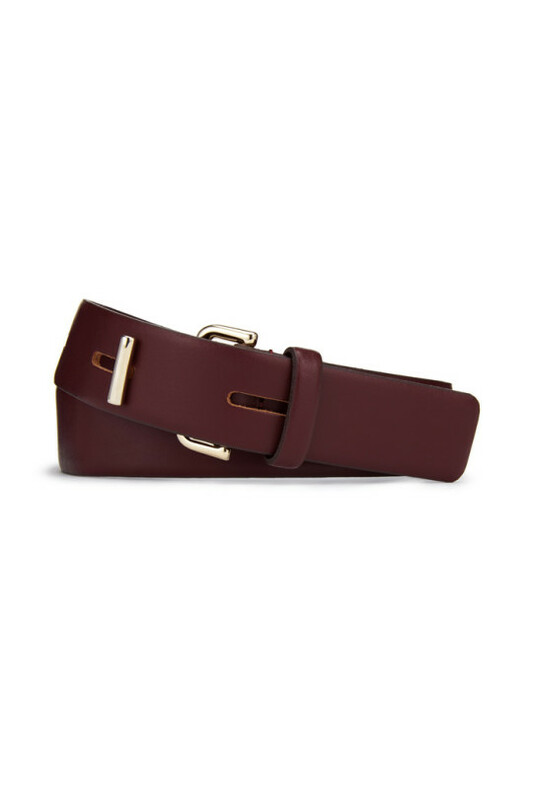 With a keyhole neckline and front pleats, this relaxed style will instantly update your spring wardrobe. 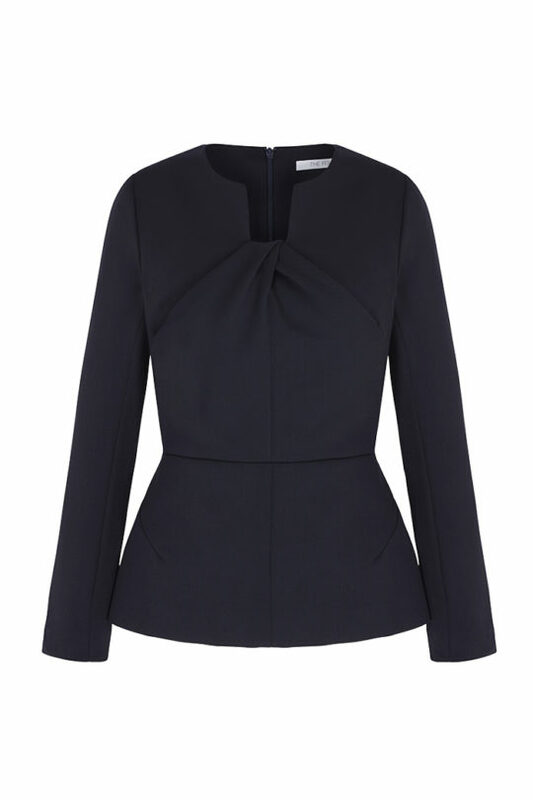 Styled here with the Le Marais Tailored Culottes Navy.